Of all the activities that happen within a wellness program, health coaching is the most expensive. Any time employees spend considerable time one-on-one with a health professional there will be a cost. Since it is the most expensive health coaching, it should be used where it will have the most impact. After 30 years in the wellness industry, I’ve heard all the pros and cons of health coaching. There is some evidence that health coaching the right people at the right time can improve elevated health risks. Finding the right people at the right time is the key to successful health coaching. Some worksites want coaches to work with every single employee. This is the most expensive and least effective way to do it—not everybody has elevated health risks and not everybody wants to spend time with a health coach. Employees are not happy about being highly incentivized or coerced into meeting with a health coach. That is a wellness program that torments your employees.Whether they have elevated health risks are not, meeting with a health coach will most likely be a waste of time for both the employee and the coach. Unfortunately, employees who could gain the most from a health coach don’t want to meet with a health coach. Every wellness program struggles to get the most needy employees to participate. WellSteps has been successful at health coaching because we carefully control how we coach the right people at the right time. We ask employees with elevated health risks if they would be willing to work with a health coach. We just ask them if they want some help. When employees answer yes to this question, that tells us they are ready to change and are actively seeking ideas, strategies, and guidance on how to improve their health. They are ready to adopt and maintain healthy behaviors. The percentage of any workforce that is both at risk and willing to make some changes is typically between 5 and 10% of the total population. This may not seem like very many people, but this puts the focus of the coaching dollars where it will do the most good. Under this model, coaches aren’t harassing people and employees look forward to the coaching sessions. Everyone wins: the employer, the employee, and the coaching provider. When health coaching is used with the right people at the right time it produces much better outcomes. 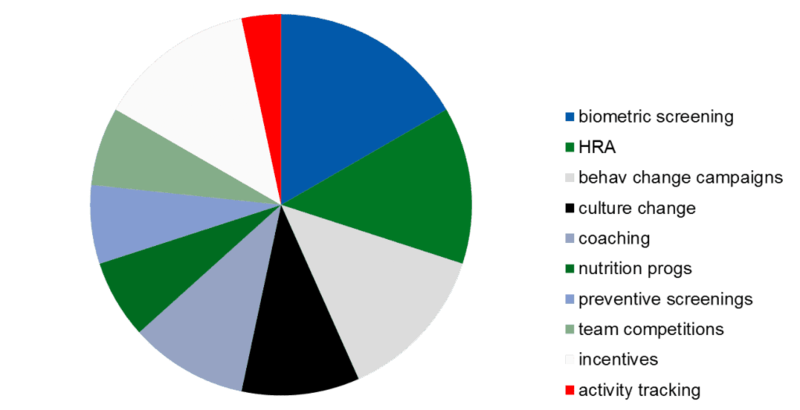 It also saves wellness budgets to be used on other effective wellness programs and activities. Once in a while I see worksites that go crazy with health coaching. Health coaching becomes the wellness program. Unfortunately, the task of helping employees adopt and maintain healthy behaviors for the rest of their lives requires way more than some occasional one-on-one coaching visits. As this graph shows, coaching is just one small piece of a larger wellness effort. As far as health coaching programs go, Advanced Wellness Systems incorporates motivational design and behavioral science into their wellness programs in order to help companies and their employees become successful and more productive. With decades of wellness experience and scientific research, Advanced Wellness Systems has developed programs that can lower health costs, improve health status and deliver results that sustain themselves into the future. Most health coaching companies do not put so much analytical research and design into their wellness programs like Advanced Wellness Systems does. Companies go to them with the hopes of making their employees healthier and happier people which, in turn, increases productivity in their business. Companies are all unique in their own way because the size and needs of their workforces are all different. Concentra provides workplace wellness programs which are unique for each company because of these differences. They don’t just deliver standard wellness programs with generalized information for employees to follow. Instead, Concentra customizes their worksite wellness programs so they will deliver the most effective wellness solutions for the employees of each individual company. Concentra provides a lot of custom services including biometric screenings, health risk assessments, health promotional activities, corporate wellness activities, occupational health services, wellness interventions, and worksite clinical care. Choose Health is one of the most recognized health coaching companies in the wellness industry. When Choose Health was formed in 2008, it was designed to be an expansion of the risk and loss management services that Sargent & Associates were providing to companies at the time. This expansion integrated health coaching programs into companies which helped lower behavioral risks that would normally cause employees to file compensation claims or commit acts of absenteeism. This resulted in an increase in productivity for these companies while reducing the expenses that employees cost them before. Choose Health won the 2014 Healthiest Small Company Award by the Boston Business Journal for their dedication to providing health and wellness opportunities to the employees of their clients. As one of the nation’s leading corporate health and wellness program consulting companies, Infinite Health Coach assists clients in their efforts to find the best health and wellness programs for their specific needs. Where most wellness companies take a cookie cutter approach to wellness programs, Infinite Health Coach believes in tailoring health and wellness solutions to create highly personal wellness programs that fit the corporate culture of the organizations with which we work. Infinite Health Coach is associated with more than 150 different wellness companies and can provide virtually any style of wellness coach, health coach and/or executive coach and can deliver coaching services via virtually any delivery model available, including face-to-face coaching. Interactive Health is determined to implement workplace wellness programs into the work environment which help improve the health of companies by improving the health of their employees. Their worksite wellness programs and corporate wellness activities include one-on-one health coaching, finger stick biometric screening, personal health scoring and reporting, and body mass index measurements. Based on the information received about each employee, they will receive strategies and tips on how they can change their behavior in order to improve their health. As for employers, they’re interested in having these wellness programs at work because it will help reduce the healthcare expenses they must pay for their employees. Plus, it will increase productivity in their organization because their employees are more motivated and energetic. Progressive Wellness of Fort Worth, Texas is one of the more unique health coaching companies out there because additional focus is placed on the preventive health of employees. Instead of just creating health coaching programs that tell employees what to do, they encourage them to be more engaged in their own wellbeing. By partnering with consultants, brokers, and employers, Progressive Wellness delivers health coaching programs that are developed and structured around the specific needs of its clients. That way, the chances of success will be greater and the long-term behavior of the employees will have changed for the better. Tilt is one of the more specialized health coaching companies out there. In order to change the lifestyle choices of individuals, Tilt believes in introducing healthy behaviors to them and then turning those behaviors into a habit. This is what their health coaching programs primarily focus on. These programs show clients how they can introduce healthy meal alternatives into their lives which won’t feel like a burden or struggle to get used to. As a result, these clients will be able to lose weight naturally over time by simply being consistent with their new healthy lifestyle behavior. Tilt can service both individuals and corporate employees in these behavior changes. TotalCare Wellness is a wellness coaching servicing platform that is certified by ESI Group and is a gold standard for coaching in the wellness industry. Their health coaching programs consist of a team of behavior health counselors and wellness coaches who are experts in the areas of physical, emotional, and mental wellbeing. They address these issues for their clients in order to help them change their overall behavior towards things like exercise and nutrition. Not only that, but they help them manage their stress levels as well. Corporations hire health coaching vendors like them all the time to assist their employees in becoming healthier and more productive in the work environment. 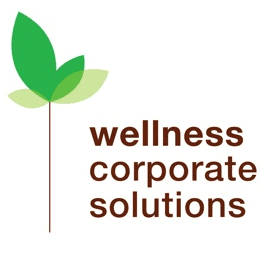 Wellness Coaches USA is one of the nation’s top corporate health coaching companies. Out of all the health coaching vendors in the industry, Wellness Coaches USA pioneered the concept of having onsite health coaching programs in the workplace. Today, Wellness Coaches USA offers more than just on-site coaching to their clients. They also develop strategies which encourage employee engagement towards making behavioral and lifestyle changes for the better. Wellness Coaches USA has more than 400 clients in 36 states across the United States, in a variety of different industries. Wellness Corporate Solutions is a state-of-the-art provider of biometric screening services and comprehensive wellness programming. They create customized, high-touch annual programming that emphasizes health education and promotes lasting behavior change. These also include health coaching, 8 week long campaigns, wellness challenges, and much more.